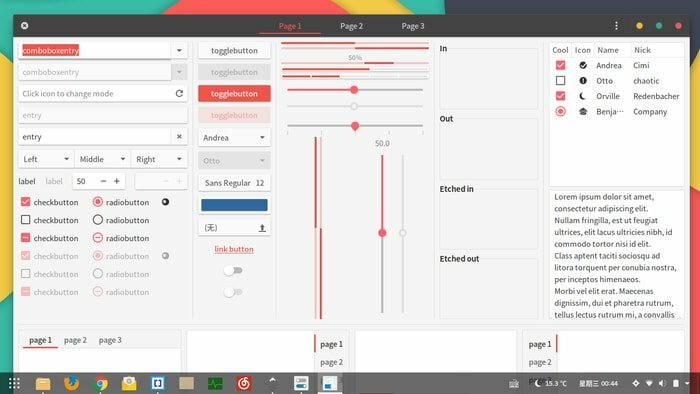 Vimix is a flat Material Design theme for Gnome Shell, GTK 3, GTK 2 etc. Vimix GTK Theme supports GTK 3 and GTK 2 based desktop environments including Unity, Pantheon, Gnome, Budgie, MATE, XFCE etc. 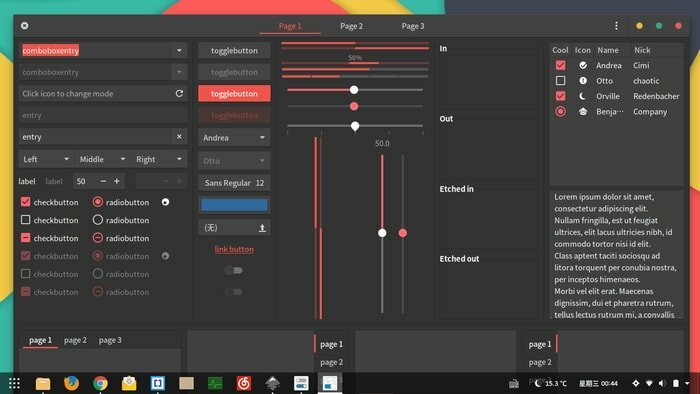 This GTK theme is based on materia gtk theme and inspired by Google’s material design. 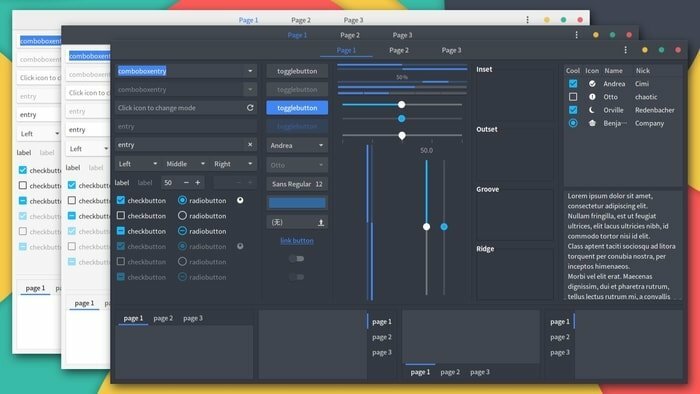 Vimix GTK theme will beautify your Linux system with modern material design elements. It has a friendly interface and provides Interesting user experience animation effects. This theme comes with total 6 color variations like dark header, full dark version, light version, full light version etc. – GTK2 engine Murrine 0.98.1.1 or later. – GTK2 pixbuf engine or the gtk(2)-engines package. Now it’s time to download Vimix theme file and install. But before going to download, first, learn how to apply themes and icons on your system. 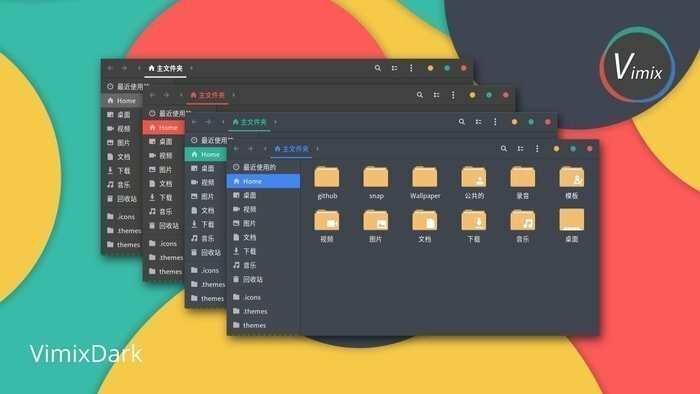 To change gtk themes on Ubuntu Gnome or Unity desktop, you need Ubuntu Tweak tool or Gnome tweak tool installed on your system. In case you don’t have, follow my tutorial two tutorials – How To Use Themes and Icons on Various Linux Desktop and How to Customize Gnome Shell with GTK Themes. Open the terminal at the current directory. Or double-click to open that script files and select “run at the terminal” at Nautilus. Or double-click to open the launcher “update vimix online”. XMLLINT not set and xmllint not found in path; skipping xml preprocessing. When running the installer script in Fedora 24 or later, you need to install ‘glib2-devel’. Here I would like to mention Vimix icon theme which is based on paper icon theme and obviously, a material designed icon theme. This icon theme easily gets integrated with the system when Vimix GTK theme used. So, download the icon theme and use it on your Linux system.